Forget the destinations for your honeymoon. Now try out luxury trains for honeymoon. Experience luxurious accommodations, amazing culinary, breathtaking scenery, plus the sightseeing at some of the world's most iconic destinations choosing a romantic train journey. Luxury trains makes your honeymoon an unforgettable memory. For a cherished experience for your upcoming honeymoon, consider these 15 of the best luxury trains for honeymoon. Voyaging all over the world, you have some tough to choose options listed below. Maharajas’ Express is an irresistibly romantic train journey. Honeymoon couples will have a wonderful time as they board, the ‘three time winner’ of World Luxury Train Award. The train has five specially designed itineraries of 7 nights to 3 nights. The best recommended for couples on honeymoon is ‘Heritage of India’. This journey covers the Taj Mahal, Ajanta Caves, Lake Pichola, Jodhpur, Jaipur and Ranthambore. 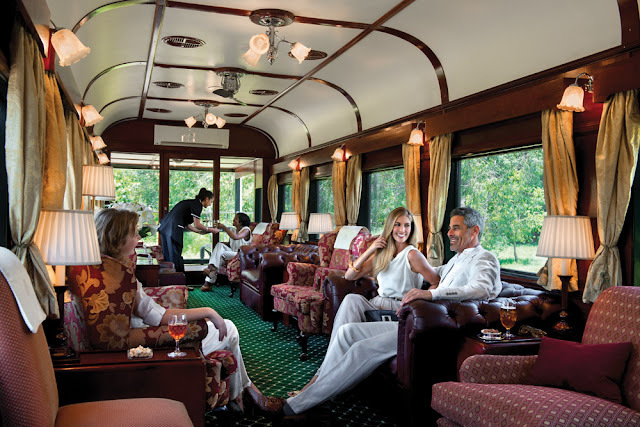 Spend time in the lavish suites, observation carriage with its own bar, games table, club and two fine-dining restaurants. There are stops in 5-star resorts where a pampering stay is assured. Create wonderful memories! 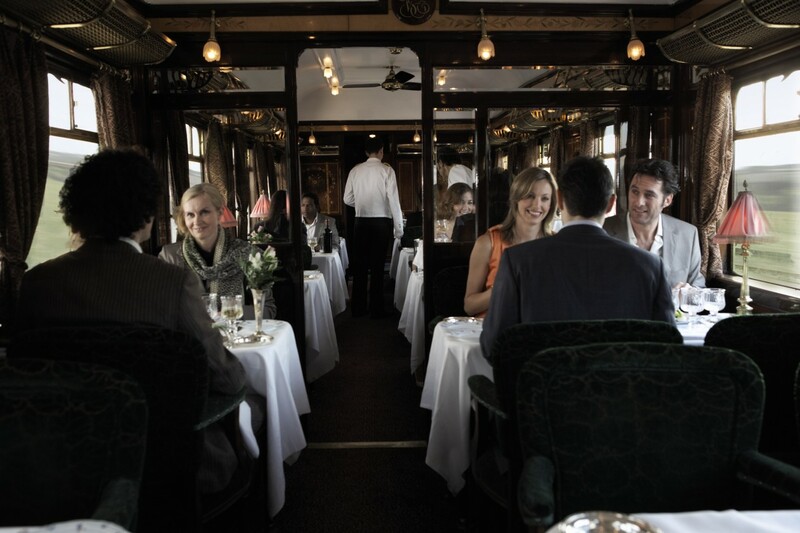 The Blue Train is not a travel through the breathtaking scenery of South Africa, it is a travel back to bygone era. One of the most luxurious train journeys in the world, even Kings and Presidents are impressed. 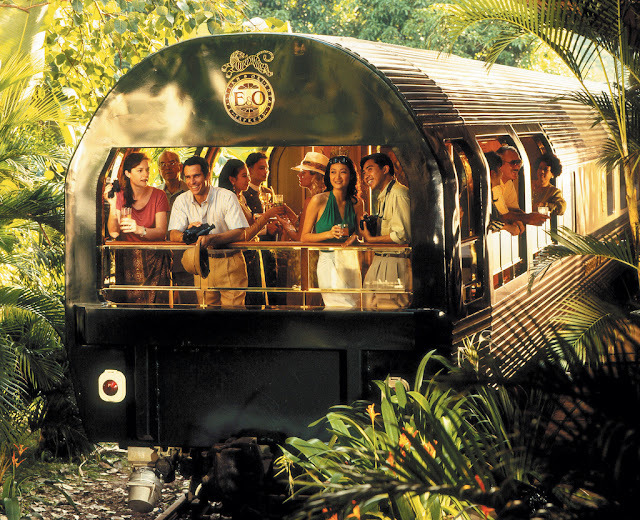 The vintage train travels approximately 990 miles in between Pretoria and Cape Town on a one night, two day adventure. Couples on honeymoon can enjoy the comforts of their suite. Regional wine, delicious meals and romantic ambiance are a bonus for love birds. The extraordinary scenery of Kruger National Park with the lavish features of your ride is unrivalled. 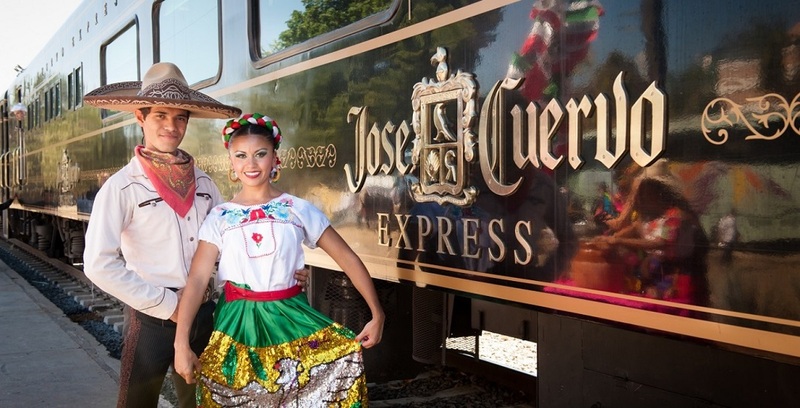 A ride on Mexico's Jose Cuervo Train is an unforgettable experience. Honeymoon couples can romance in the Mexican essence. The train voyages a 9 hour journey form Guadalajara, Tequila and back. The premium plus cabins are luxurious in designs. The Club Bar and Bar Wagon provide the perfect seat for watching the fields of agave pass by. Meals included delicious platters, fresh fruit followed by snacks and beverages prepared with tequila. The tour of Jose Cuervo distillery and the Reserva de la Familiar cellars are remarkable. The classic Mexican town of Tequila is an interesting stop-over of the train. For couples on honeymoon, Belmont Royal Scotsman is spectacular. 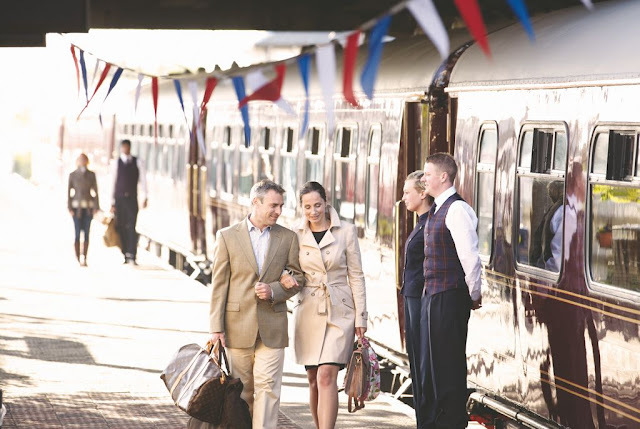 The Classic journey of the train offers an unrivalled discovery of Scotland in Style. Travel in traditional style and elegant comfort. The breathtaking scenery of Scotland and the Highlands are perfect for romance. Life on the train is relaxed and indulgent. The intimate country-house atmosphere makes your honeymoon memorable. The private suites are comfy. Amenities pamper your stay. Relish the delicious food and wine served on board. At the regular stops, take part in activities such as clay highland safaris, pigeon shooting, fishing, visits to local castles and grand country estates. The luxury train, Deccan Odyssey is known for its extravagant ride through intriguing history Maratha Kingdom. All train routes are voyage to the age of romance and royalty. The incredible journey, creates cherished memories of your honeymoon. From exploring architectural marvels, visit to world heritage sites, adventures in the wilderness to cultural experiences, select from 6 great itineraries of the train. The state-of-the-art amenities enhance the extravagance. Indulge in the comfy setting of your suites. The 5-star restaurants, club and lounge tantalize your taste buds. Stops at hotels offers massages and day spas. 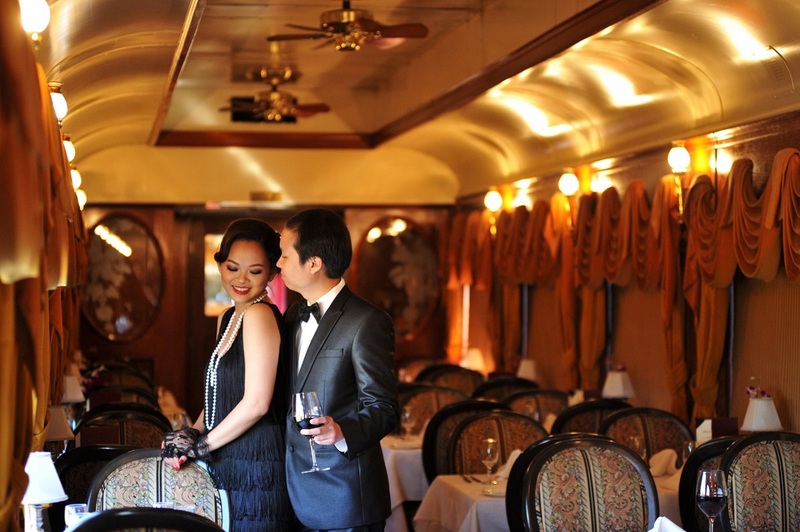 Celebrate love on your luxury train honeymoon. 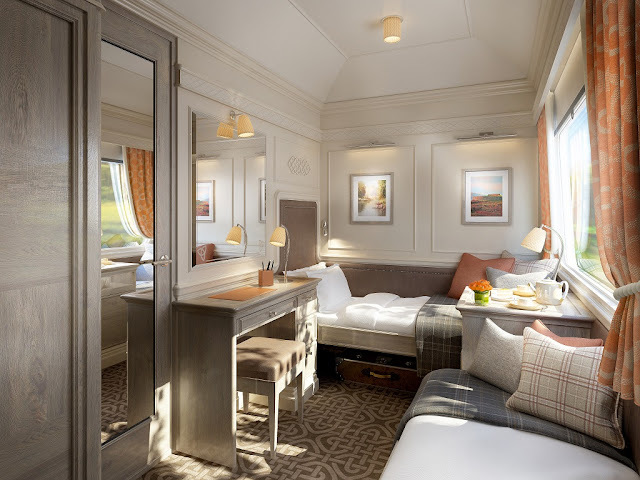 The newest addition to luxury trains in the world, Belmond Grand Hibernian offers an exquisite tour of the Emerald Isle, Ireland. Honeymoon couples step aboard the dazzling world of romantic indulgence. The contemporary carriages are inspired by Dublin’s architecture. The fine cuisine enhanced with local delicacies. The ever-changing backdrop of Ireland’s celebrated landscapes is bliss. The rail journeys include a selection of two-, four- and six-night journeys. All departures are from Dublin and cover the tourist attractions of both the Republic of Ireland and Northern Ireland. Explore prehistoric castles, spot rare wildlife, taste famous whiskies and visit lively cities. 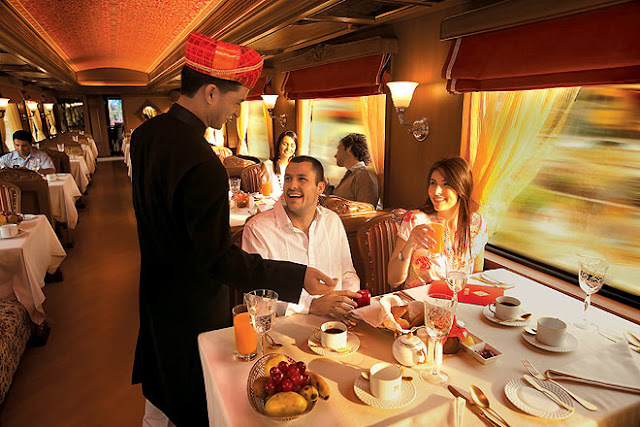 The Palace on Wheels is the most iconic luxury train of India. The romantic train travel has inspired couples since decades. Enjoy travelling in India like royalty. On an eight- day and seven-night adventure throughout Rajasthan, explore love. The train travels through the land of forts, palaces and sand dunes, and the icon of love, Taj Mahal in Agra. There are air-conditioned private suites, complete with lavish facilities. 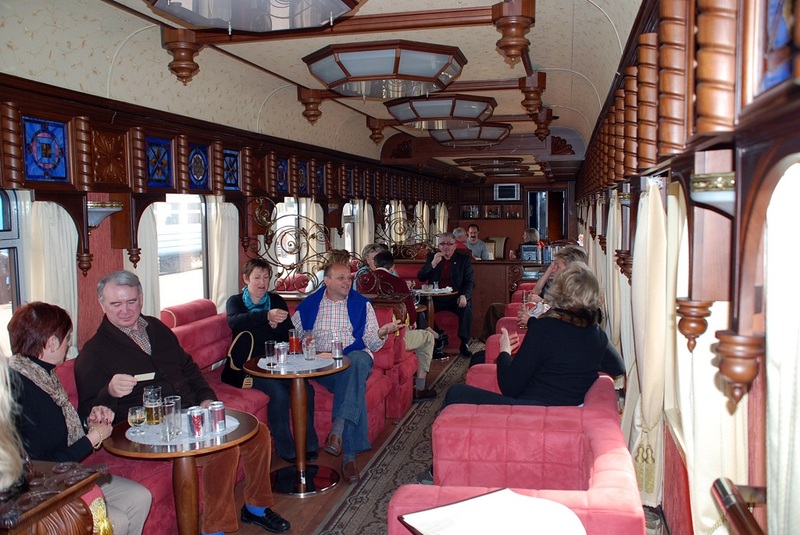 The train also has two extravagant restaurants, one bar and four service cars. Not just a romantic honeymoon, the train can also fulfill the wish to get married on the train. The Pride of Africa is perfect for honeymoon couples seeking to get some adventure. The luxury train offers a 4-day, 3-night adventure. Traverse through the most beautiful landscapes in Southern Africa. The journey starts in Pretoria then moves into Botswana, where is passes through the Hwange Game Reserve. During this part of the trip, you can often see wilderness from your private suite window. Finally, the train makes its way to Victoria Falls, one of the world’s natural wonders. The pleasurable luxuries of your suites, club lounge, restaurant creates wonderful memories. The South African wines will tantalize you states buds. The luxury train, Venice Simplon Orient Express travels is to one of world’s most romantic destination, Venice. Known for its canal rides, islands and timeless palaces, the famous Italian city is timeless masterpiece for romance. It is a perfect starting point for a luxury honeymoon in Europe. Travel through the breathtaking scenery of Europe. The train cars are restored vintage luxurious cars built in 1920’s and 30’s. The intimate settings are perfect for the honeymoon couples. Enjoy the decadent cuisines. Sip delicious wines and cocktails. You very own private steward meets all your wishes. It’s a gift for honeymoon couples. 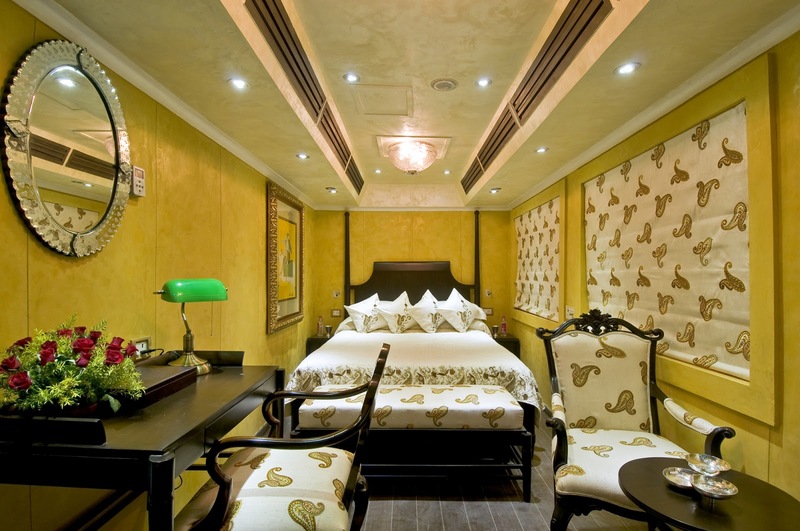 The Royal Rajasthan on Wheels is the upgraded version of Palace on Wheels. Just like its inspiration, the luxury train exemplifies extravagant travelling. The interiors are suffused with the wistful memories of an era bygone. The blend of grandeur and elegance with impeccable hospitality reminds of the royalty. Voyaging through the marvelous forts, palaces, temples, sand dunes, magnificent history, it is an insight of the wonderful culture of India. The state-of-the-art amenities pampers guests. The gourmet cuisines and the selection of drinks are simply exquisite. The remarkable travel experience of Rajasthan is just what honeymoon couples wish for. The Golden Eagle Luxury Train Arctic Explorer train offers couples a honeymoon to cherish forever. This train offers the chance to see the Aurora Borealis in a very exclusive way. The Golden Eagle begins its journey in St. Petersburg, Russia. The train then makes its way through Norway to the Arctic Circle. The Northern Lights here are brighter than anywhere else on earth. This unforgettable journey has stops in St Petersburg, Kirkenes (Norway), Murmansk, Petrozavodsk, Vladimir, Suzdal and Moscow. These cities are blessed with some of the most breathtaking sceneries. The luxury train makes the journey but a cherished experience. Regarded as one of the world’s greatest rail journeys, The Ghan delivers so much more than a luxury train ride. The legendary train takes deep into the heart of Australia. Discover the rich heritage. Honeymoon couples are offered a holiday of incredible experiences. Enjoy the comfort and solitude of your private cabin. Gaze out of the window soaking up the ever changing landscape. The train stops for adventures. Experience the dramatic scenery of central Australia. Indulge in multi-course meals served. Drink the finest Australian wine. Relax in luxurious and spacious private cabins. This is a unique honeymoon in Australia. For couples looking to explore Southeast Asia, the Eastern and Oriental Express offers the Fables of the Peninsula journey. This luxury train voyages from Singapore to Bangkok, with halts in Penang and Kuala Lumpur. The views are breathtaking, amenities convivial and experience a memory of a lifetime. The indulgent accommodations of the train are replete with all luxuries. Savor the delightful cuisine and cocktails of the fabled lands. Gaze through the passing the rural villages and vibrant cities. 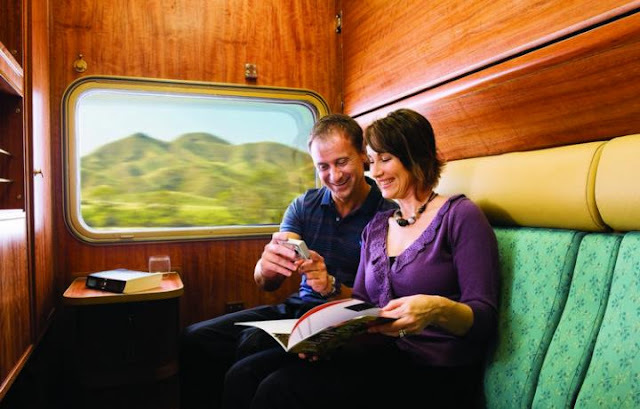 The Eastern and Oriental Express is a romantic way to explore Southeast Asia. Honeymoon couples return home with cherished memories. Hiram Bingham is a luxury train taking you on a ride that transports you to centuries back. The luxury train offers a trip of unforgettable memories. Pass through breathtaking scenery as you indulge in the premium extravagance of your ride. Couples on honeymoon interested in history cannot have a better option than this. 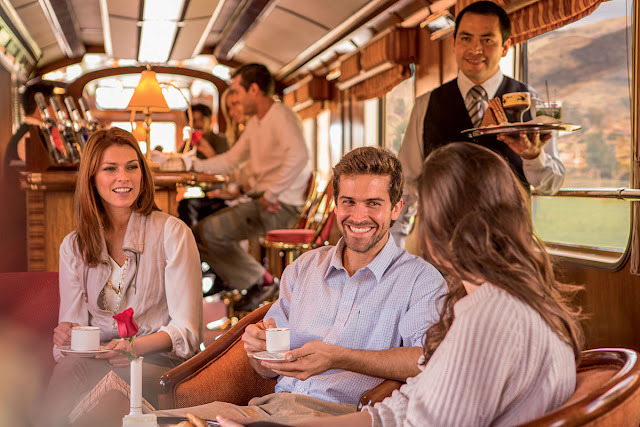 The train goes on a round trip experience from Cuzco to the famous Incan ruins of Machu Picchu. On the one day-journey, get to enjoy a lavish brunch with Peruvian wines. Traditional entertainers of Peru mesmerize you. The magical journey becomes your favorite memory of your honeymoon. 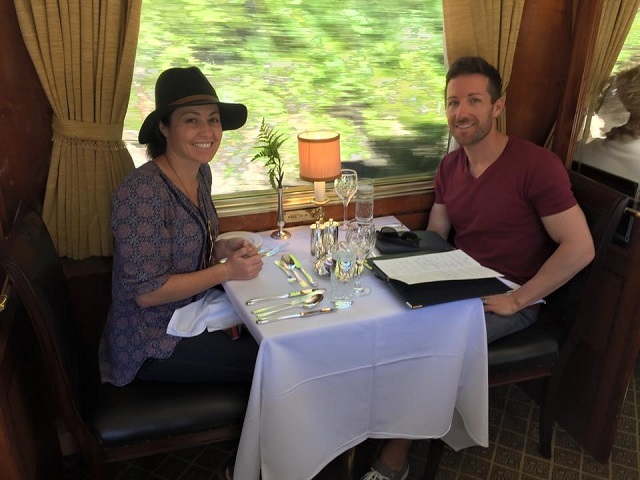 Napa Valley train is not a luxury train with overnight accommodations, it is a day-trip creating a cherished experience. The train travels only a 36 mile journey but is without doubt amorous. This memorable excursion of 3-4 hours takes riders through scenic Napa Valley wine terrain. In masterfully restored vintage rail cars, discover the heart of the California wine-country. For the food and wine loving honeymoon couples, it is simply wonderful. The train offers a variety of experiences. Enjoy regional food and fantastic wines (including tastings), and the unmatched panoramic views. Enjoy a gourmet lunch with your loved one here. Plan out your honeymoon or a romantic getaway in these luxury rides.